According to Christina Denniston they actually did use back sacadas at Golden Age even if it violates one of the most fundamental rules for these tango dancers - the rule of keeping a direct contact/line between the leader's and follower's hearts. To be able to complete the back sacada the leader needs to turn his body and have his backside hips parallel with the line between the follower's feet. To reach this postion he even turns his upper body slightly from the follower. The line between the hearts is broken or bend. When the leader's hips are in right position, he will extend his left leg backwards, towards the the shadow of the follower's heart on the floor and behind that spot. This sacada, as the forward sacada, is done during the follower's side step with the right foot. At once when the leader's foot has crossed the imaginary string between the follower's feet he starts to move the weight to his new position and rising up to his full length. During this weight transition the couple is turning, so the follower's hips will be moving away from the place leader is aiming to take. As you see the process is quite the same as for the forward sacada with the difference of that the leader is advancing backwards during this sacada. 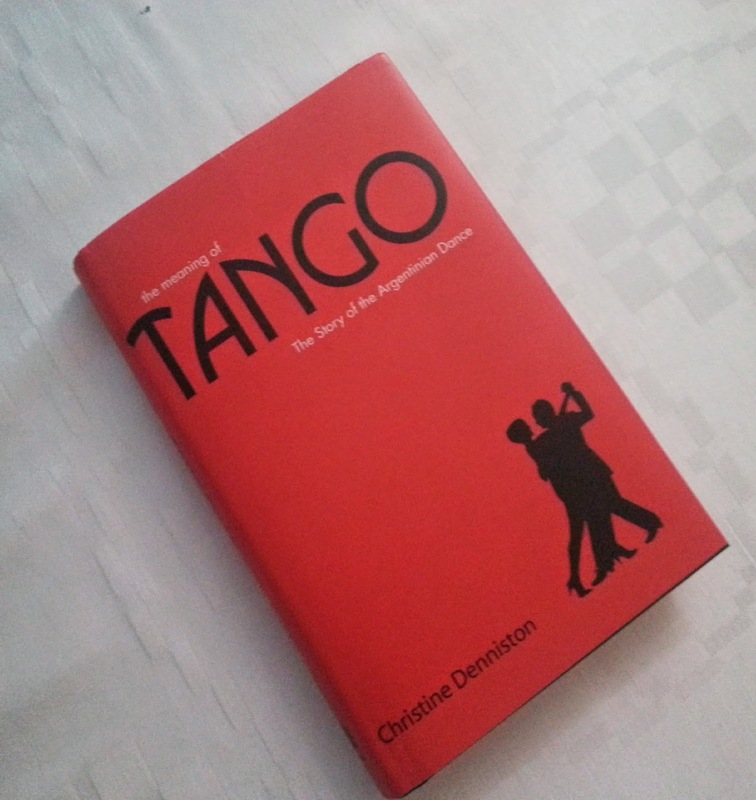 In her book Christine Denniston presents the tango at Golden Age. This posting is a short excerpt from sacada section in the book. She is happy to describe how complex the variety of movements was at that time and how these old moves are coming up as new ones today.